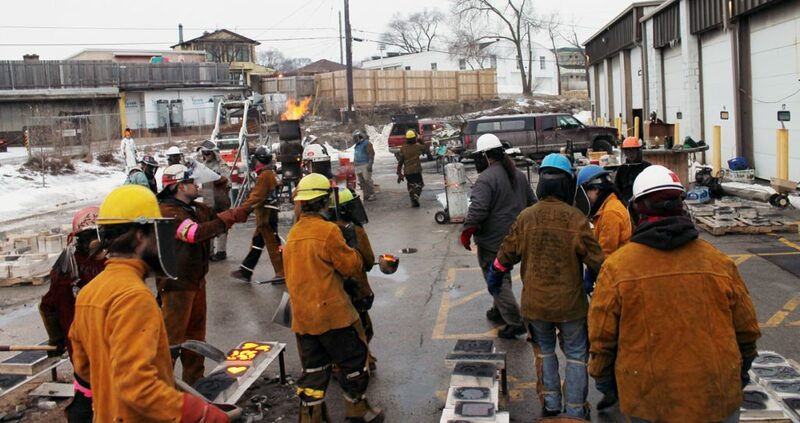 Many thanks to Alisa Toninato at Felion Studios for hosting Foundry Tree and for the amazing 10th Annual Pour’n Yer Heart Out community Iron Pour in Madison, Wisconsin. 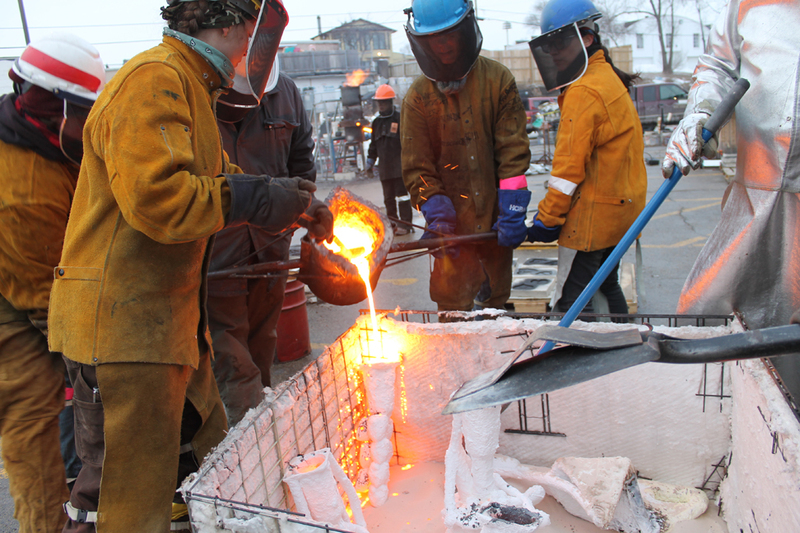 Also to Hannah Hirsekorn and Ana Andrade for assisting with the Foundry Tree. Poster from the community iron pour event. 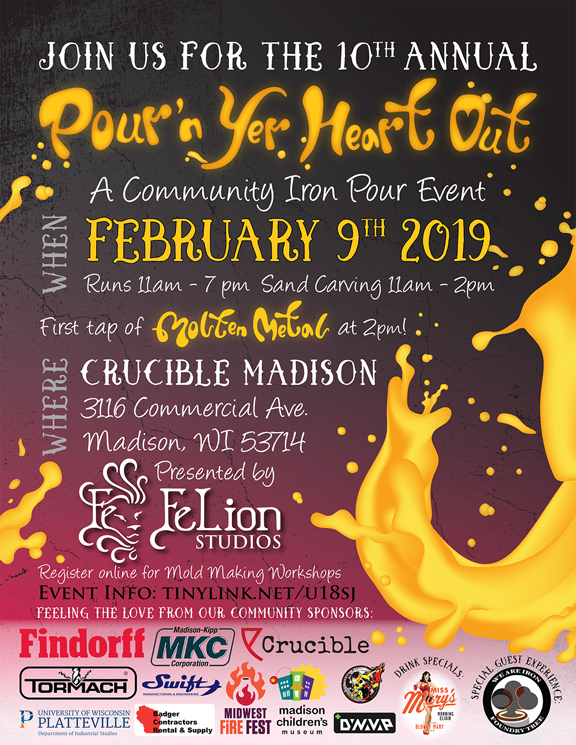 2019 Pour’n Yer Heart Out: 10th Annual Community Iron Pour Event was Saturday, February 9, 2019 from 10am-7pm at the Crucible Night Club 3116 Commercial Ave., Madison, WI 53714. Website for more information:https://www.felionstudios.com/events/2019pourinyerheartout Contact: Alisa@FeLionStudios.com.